Sixers rookie Markelle Fultz is currently trying to transition from being an injured dude with a busted shot to an actual real-life basketball player, but it’s been a bumpy road, and it hit another hitch in the Philly game tonight. While trying to execute a routine hand-off with Joel Embiid, Fultz accidentally smashed his head right into his teammate’s. 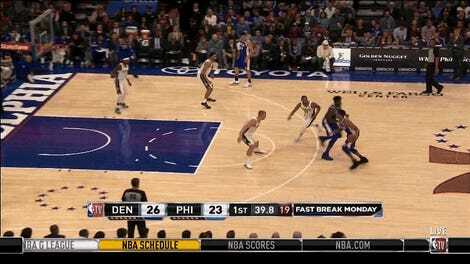 Embiid went down grabbing his face after the collision, and he had to be taken to the locker room. Fultz, at least, seemed to walk away unscatched. Still, it’s another bit of bad luck for what’s felt at times like a cursed season for the young guard. 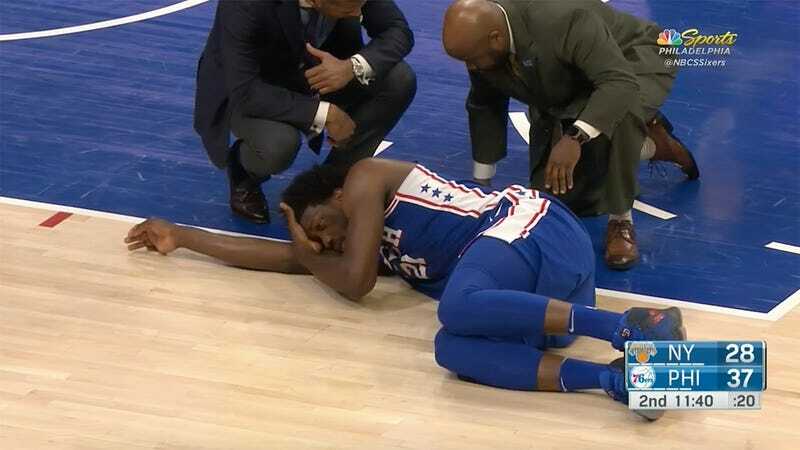 We’ll update on Embiid’s condition if more news comes out.